Avengers: Infinity War shocked the world last year by concluding with one of the most effective and powerful endings in cinematic history. Rather than the Avengers defeating Thanos and saving the day once again, the Mad Titan gathered all six Infinity Stones by the end of the film and wiped out half of all living things in the universe. This made for an emotional and grim last couple of minutes as fans had to watch some of their favorite Marvel heroes fade away to dust. Almost a year later, people are still talking about Thanos’ snap, which left a significant imprint on the world of pop culture. And though it looks like Marvel Studios is very pleased with how the movie turned out, the ending was originally much different. 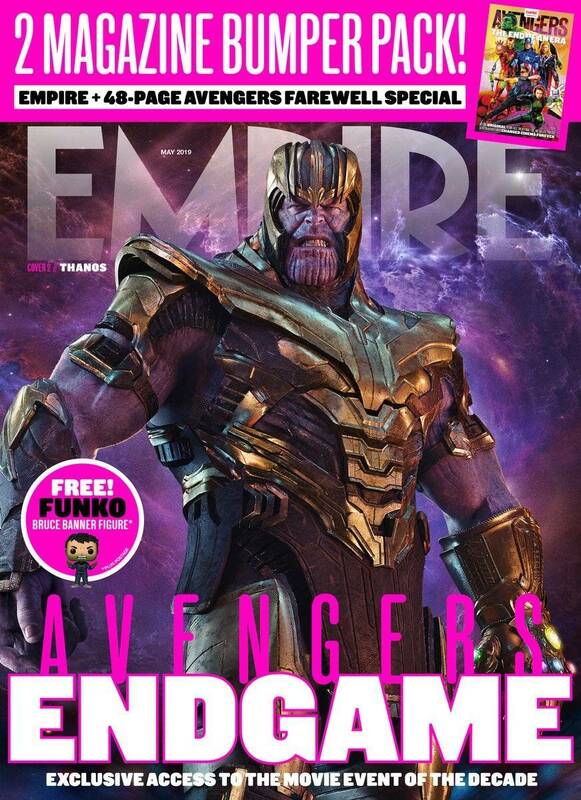 In Empire Magazine’s Avengers: Endgame edition, Infinity War co-writer Stephen McFeely revealed that Thanos’ victory wasn’t set to happen until the second film. “We had so much story in those early drafts of Infinity War that, if anything, we thought we maybe shouldn’t do The Snap until the end of act one of Endgame,” he said. While it could have been cool to see how this shocking moment would’ve fit into Endgame, most of us can probably agree that it worked a lot better both emotionally and structurally at the end of Avengers: Infinity War. Now, we’re in the Endgame and have to wait and see how Earth’s Mightiest Heroes will bounce back from this major defeat. Luckily, though, we don’t have long to go before we find out, as Avengers: Endgame arrives on April 26th.